Decorative urns display floral bouquets and plants to enhance and accessorize pedestals and other event decor. 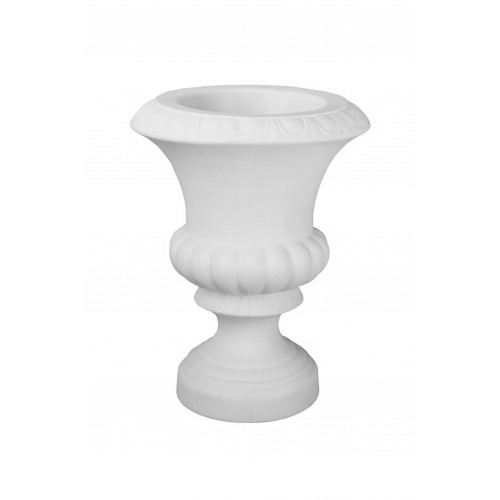 A line of traditional floral urns features Graeco-Roman detail while a line of contemporary floor urns provide modern flair. The urns are rotationally molded in USA from 100% polyethylene to look like chiseled stone yet offer light weight portability.